Atlanta — Mayor Keisha Lance Bottoms joined other city officials to break ground on what will become the largest park in the City of Atlanta, the future Westside Park at Bellwood Quarry. 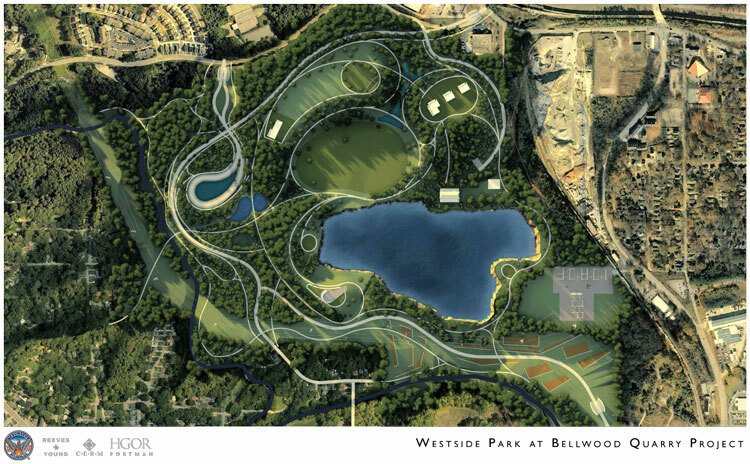 A $26.5 million project, the initial phase of the future Westside Park at Bellwood Quarry will include a park gateway entrance at the intersection of Johnson Road and Grove Park Place on the north side of the park. The design will provide lighting, signage, well-designed graphics and will promote pedestrian and bicycle traffic. Since September 2016, the City of Atlanta Department of Watershed Management has been working to transform the Bellwood quarry into a more than 2 billion-gallon emergency drinking water reservoir that will increase the city’s emergency water supply from three to 30 days.